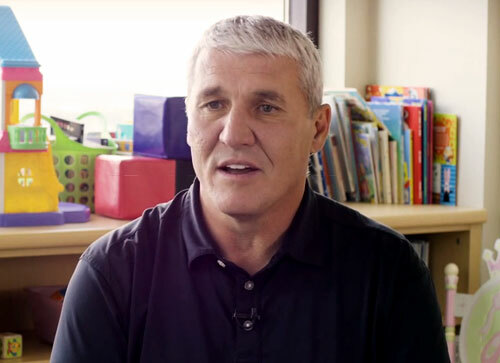 Mark Rypien is a retired NFL quarterback who played for the Washington Redskins from 1986–1993, the Cleveland Browns in 1994, the St. Louis Rams in 1995, the Philadelphia Eagles in 1996 and the St. Louis Rams again in 1997. He signed with the Atlanta Falcons in 1998, but due to his son’s death from cancer, he was not able to play. Rypien returned to play with the Indianapolis Colts in 2001 and then the Seattle Seahawks in 2002. Rypien is a two-time Super Bowl champion for Super Bowls XXII and XXVI plus he was Super Bowl MVP for Super Bowl XXVI. Rypien also is a two-time Pro Bowl selection for 1989 and 1991 plus he is AP Second-Team All-Pro for 1991. On June 13, 2002, Mark Rypien was named as one of the 70 Greatest Redskins. Sports Speakers 360 is a booking agent for pro athletes. If you would like to book Mark Rypien for a speaking engagement, appearance or endorsement, contact a Mark Rypien booking agent for fees at 1.855.303.5450.